iGoogle Comic themes: superman, batman, hulk! Are you big time fan of comic characters and start your daily with iGoogle page? iGoogle Comic Themes are just for you to bring superhero comic character splash to your iGoogle homepage. Google has launched special Comic Themes for iGoogle featuring superman, batman, hulk and many more popular comic characters. There are lot of themes covering different type of comic characters from supermen to superwomen to funny comic creatures. Favorite ones for sure include: Superman and that cutie Garfield. 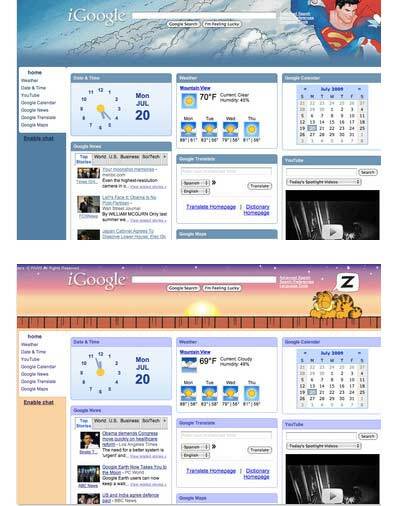 Browse Comic Theme Gallery for iGoogle [via] and see available themes, which is your favorite?